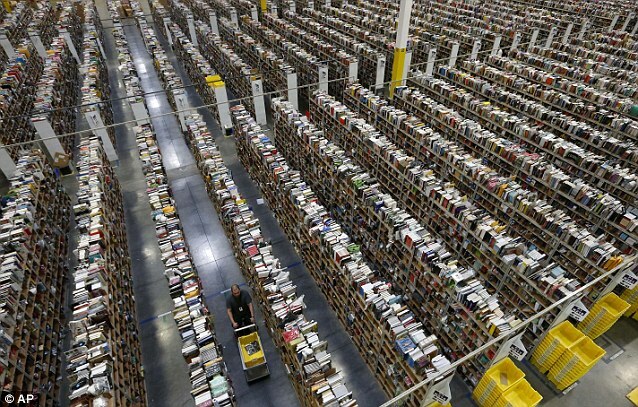 Amazon’s fulfillment centers allow Amazon sellers to house products in regional fulfillment centers so that when a sale is made, Amazon staff fulfills the order and sends the product to the buyer quickly. Amazon fulfillment centers allow manufacturers and sales groups to focus on their specialties while leaving shipping to Amazon. This arrangement is called the “zero inventory” model and saves money by replacing upfront capital expenses with low variable cost with sellers paying only for storage space used. Amazon India has just invested $50 million to add seven new fulfillment centers (FCs) to meet the growing demand in India. According to Amit Agarwal, Vice President and Country Manager, Amazon India sales volume growth exceeded 500% in the last quarter while Amazon-fulfilled inventory represented 75% of total units. Amazon now has 20 fulfillment centers across 10 states in India with a total combined warehouse area of 6,000,000 ft.² and a total storage capacity of over 4,000,000 ft.³.